Summer is obviously my favorite season because it's when sunflowers are in full bloom. 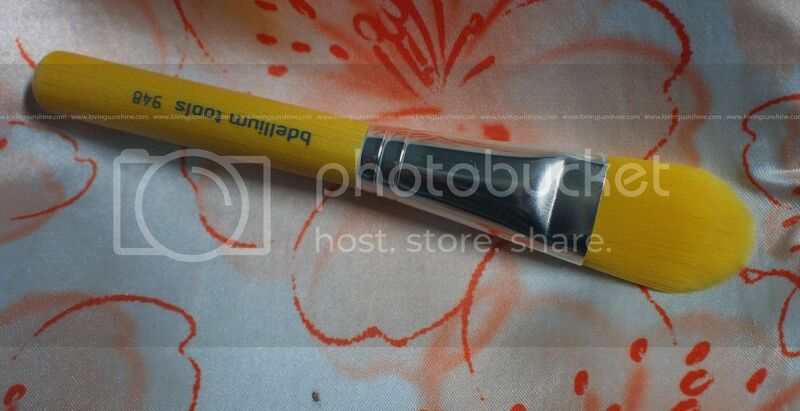 My website is even named after sunshine--so yes, I got REALLY excited when I saw on Bdellium Tools twitter page that they'd be launching a brush line that has, oh my goodness, a burst of sunny yellow all over! 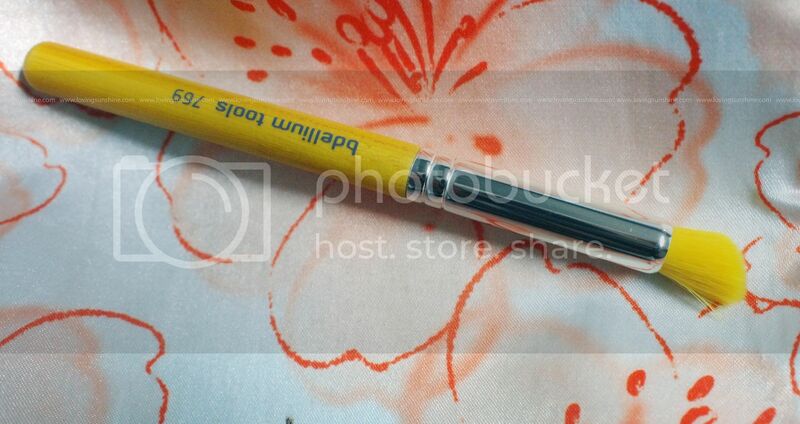 I'm talking about their Bdellium Tools Professional Makeup Brush Yellow Bambu Series . Keep on reading as I'd be sharing a giveaway somewhere in this post. :p If you want to shop for these brushes, scroll down to the bottom of this post. I mean, yes, believe your eyes. It's that bright and beautiful! Funny, because as you all know, I was hospitalized last week. I was feeling a bit dreary having to go back to work after almost two weeks of "rest"; but wow, was my spirit lifted when I saw a box from Bdellium Tools! 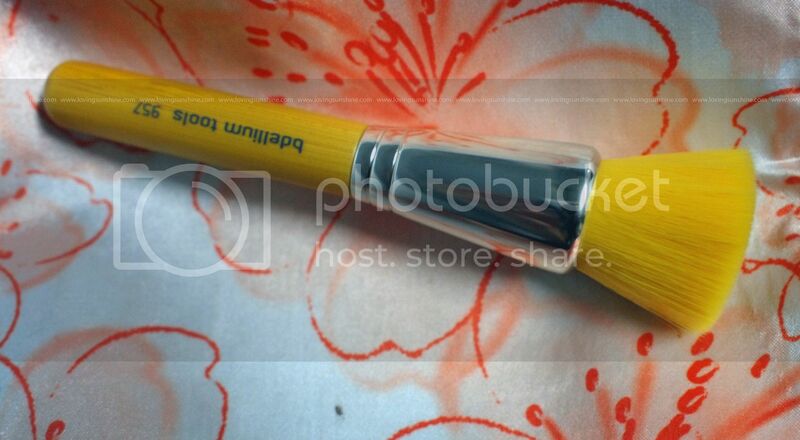 I got the Bdellium Tools Professional Makeup Brush Yellow Bambu Series Foundation 4pc. Brush Set which retails at $38.70. It's the set in the bigger cylinder brush case. 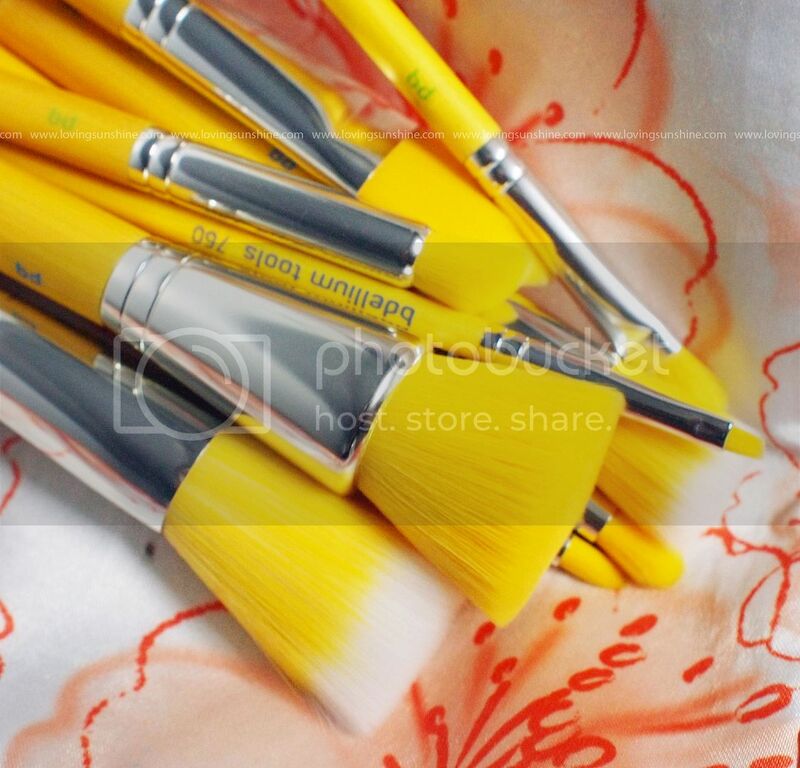 :) Beside it is the Bdellium Tools Professional Makeup Brush Yellow Bambu Series Smoky Eyes 5pc. Brush Set which retails at $24.30. Now I know the initial reaction after knowing the price of these brushes is "Whoa, ka-ching! Pricey" But hear me out. These brushes are of value. Like, considering the fact that they look astoundingly amazing and fun; these brushes are top-quality brushes! Come to think of it, for a set of 4 or 5 brushes, they are more affordable than those $40 a brush labels (I won't name, but you know what brand I'm referring to). 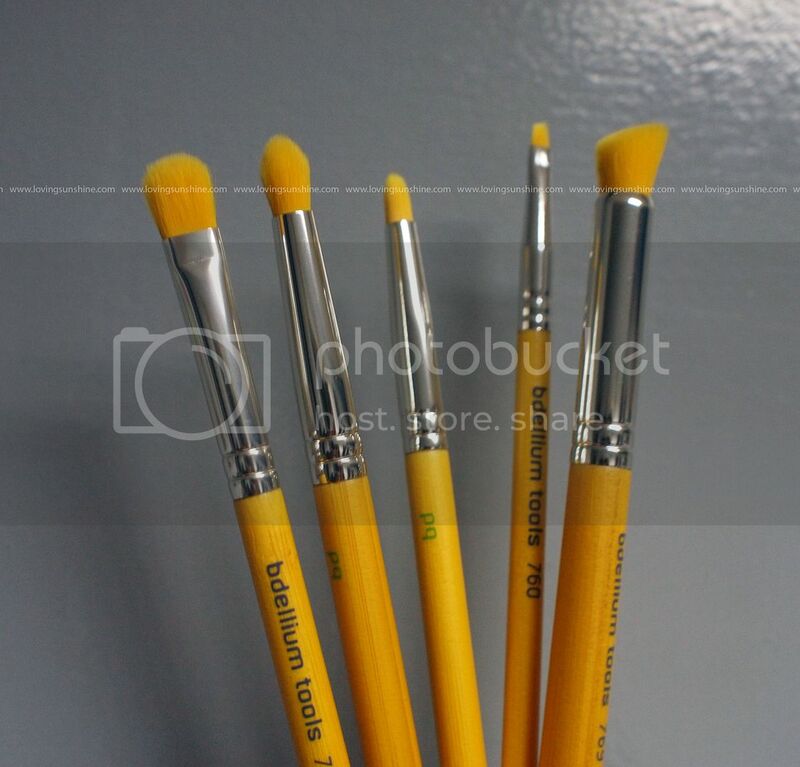 Check out how different and unique Bdellium Tools Yellow Bambu Series is. I haven't spent much time with these brushes but I got to wash them twice already and I tested out three different looks with the brushes with hopes that I can post a LOTD using these tools soon! :) So far, so great! These unique eco-friendly brushes turned out to be extra-special individually and let me share with you a few notes I took down upon trying out these amazing SUMMER-WORTHY beauty tools. As mentioned, I got two out of the three Yellow Bambu sets. 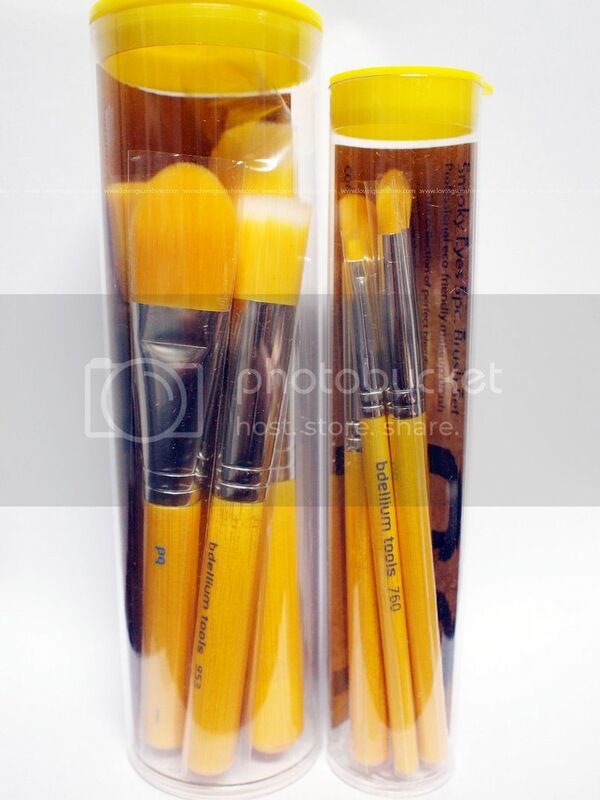 Just to let you know, the set I didn't get was the Bdellium Tools Professional Makeup Brush Yellow Bambu Series Mineral 5pc. Brush Set. 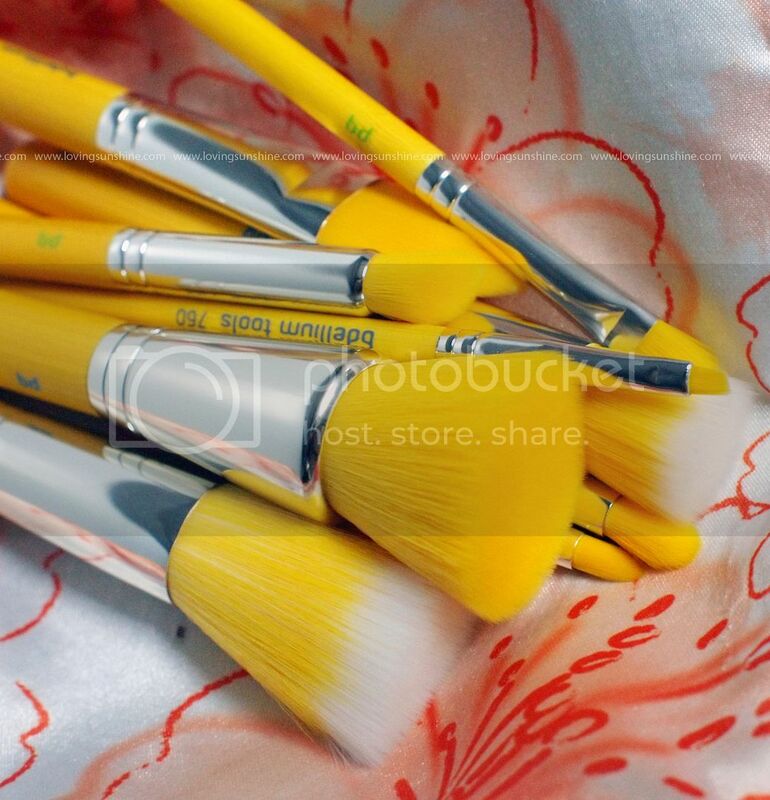 Here's a photo of my make-up brush collection's brightest stars! I just checked, and am happy to report that it has a Green Bambu counterpart--which is on sale--28% slashed right off the tag! 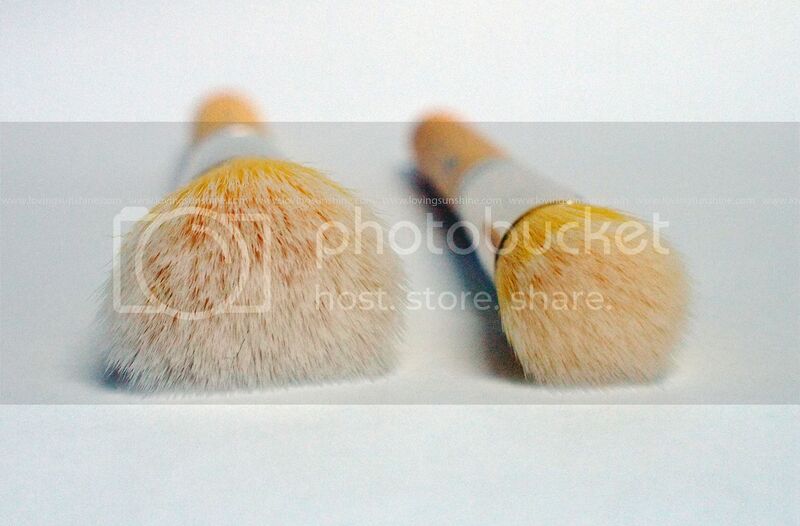 Check it out here: Mineral 5 Piece Eco-Friendly Makeup Brush Set - Bambu Professional Line . For your information, Green Bambu series started it all. It's Yellow Bambu's predecessor. 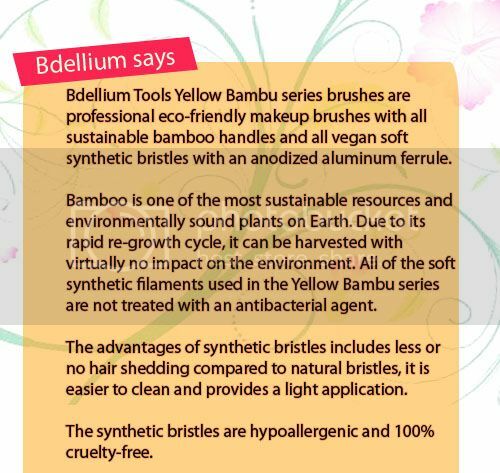 I believe Green Bambu is also Bdellium Tools' first eco-friendly brush series and judging by the fact that it gave birth to a "revised" set, I bet we brush lovers loved the cruelty-free tools to bits! Taken from Bdellium Tools website. Check out their webstore here. 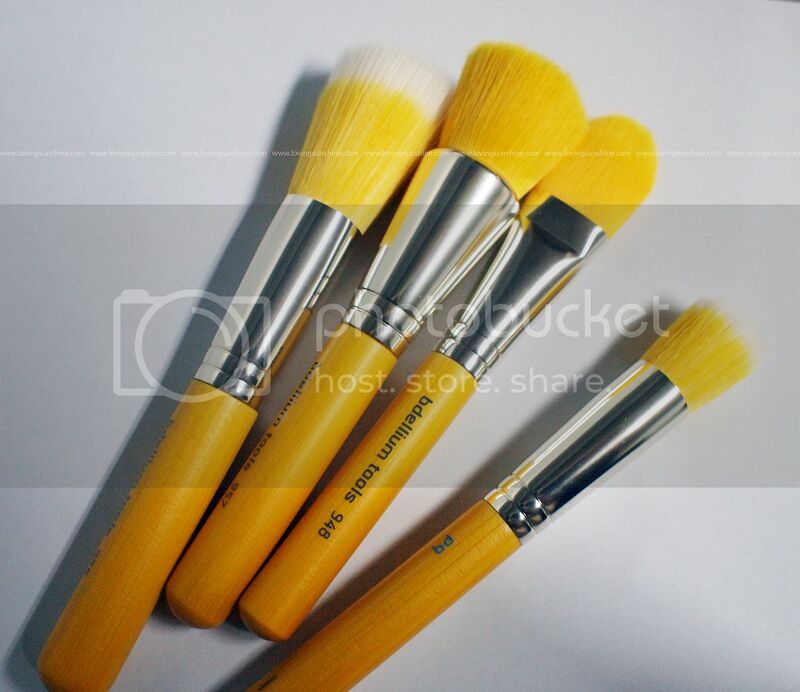 First off, let me share with you the Bdellium Tools Professional Makeup Brush Yellow Bambu Series Foundation 4pc. Brush Set . It includes (from L-R): #955B Finishing, #957B Precision Kabuki, #948B Foundation and #953B Duet Fiber Foundation. This set includes brushes that offers premium foundation application in all forms: powder, cream, liquid, even mineral (I had to differentiate this from powder because although similarly loose, I trust that mineral powder has a different consistency compared to non-mineral powders). What I noticed about their Finishing brush (besides the obvious F-U-N color) is the density of the brush hair. Typically, I prefer a denser stippling tool but I don't mind cause its character compensates thricefold! The best thing about this stippling brush is its ultimately soft and non-scratchy hair. Made with premium synthetic fibers, the brushes from the Yellow Bambu range are 100% cruelty-free! I therefore conclude, this is the type of "vegan" that I can keep up with, eternally. 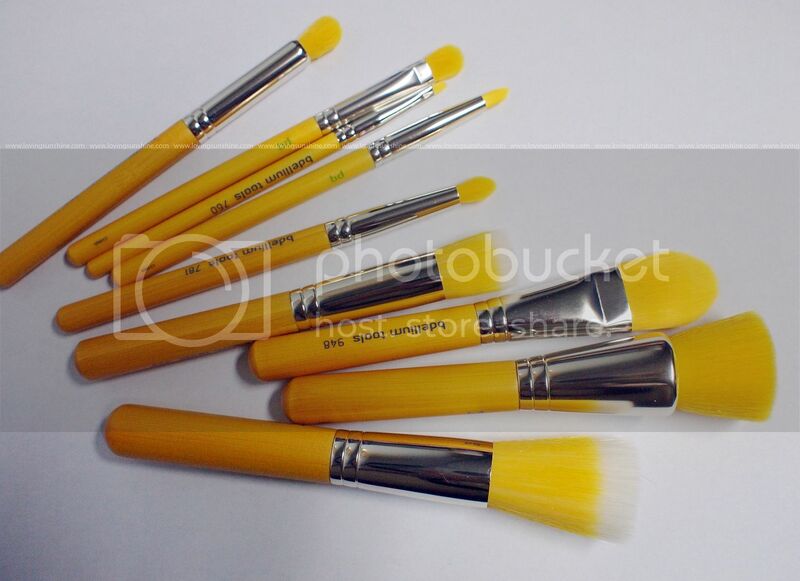 As mentioned, the Bdellium Tools Professional Makeup Brush Yellow Bambu Series Foundation 4pc. Brush Set has two "duo-fibered brushes. It has this smaller duet-fiber brush that is purrfect for applying liquid foundation in the hard to reach areas of the face like the corners of the nose. It's also perfect for stippling around the eye area. Let's observe and visually compare the two. 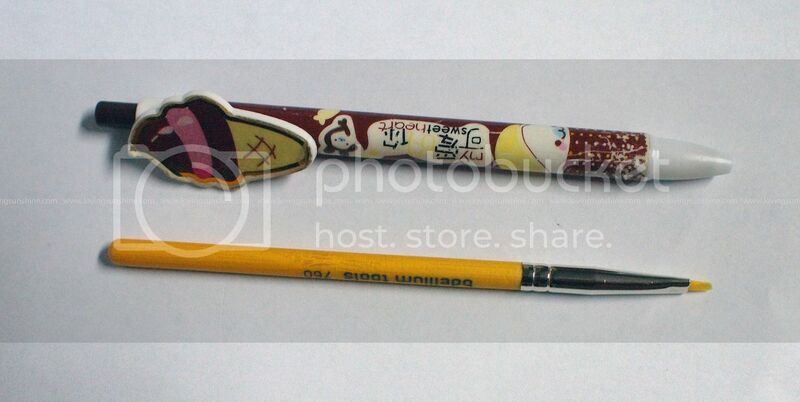 The Foundation set also has a "Kabuki on a stick" brush, the #957B Precision Kabuki brush. 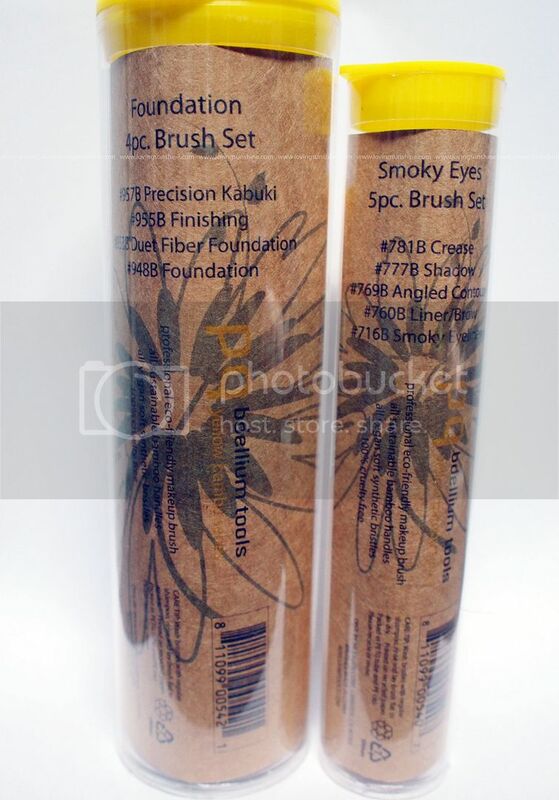 This brush is really dense and for that it is more challenging to air-dry; however, because the brush hair used in the Yellow Bambu series is synthetic, it had a lower likeliness to be a breeding ground of bacteria. :) Oh, let me just share the interesting difference between Bdellium Tools eco-friendly professional brushes from their signature professional anti-bacterial brushes. Besides raw materials, the eco-brushes do not have the same anti-bacterial agent Bdellium Tools brushes are known for in order to maintain the integrity of the eco-brushes' 100% cruelty-free campaign. I think now's a great time to share that these brushes are at mid-length. They are between being full-size and travel-size. My least favorite would have to be this brush! It's lovely to work with when applying shadows on the crease area but beyond that, I couldn't think of any other use. 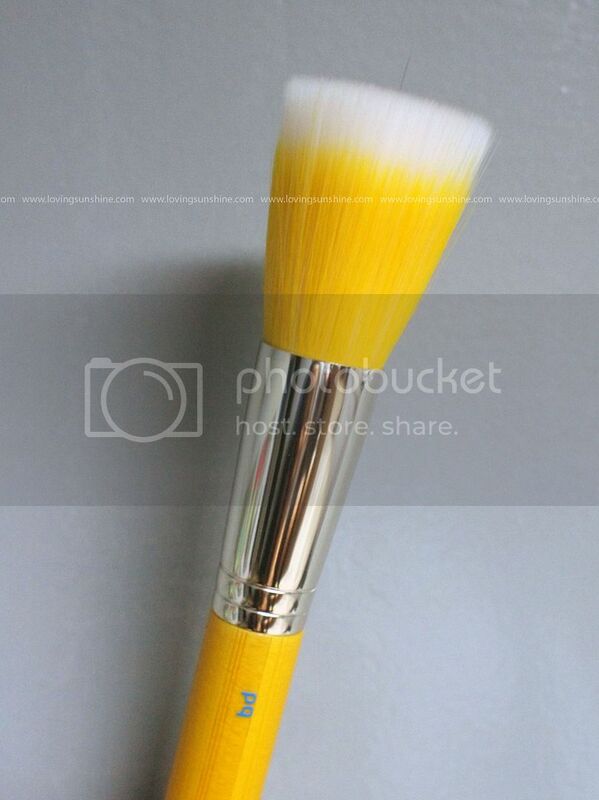 Unlike its Yellow Bambu brothers and sisters, this brush was the least functional for me. Whew! That was a lot of brush talk! I deserve a drink! Cheers to Bdellium Tools most unique brush series ever! If you want more beauty tools talk, join the conversation on Facebook! PS. This post contains my Amazon Affiliate links. I hope if you'd be buying the brushes yourself, you could use my links. Would really appreciate it so I can sustain this blog and offer more great reviews (as I would need to fund shopping for products too! haha). If you did use my affiliate link, please let me know. I'd love to send you lots of love! Don't forget to join my Summer giveaway! Win items from top brands like Benefit, Clarins, L'occitane and more! Me too! love their unique colors! Fantastic review! Sunshine is definately your word Kumi. 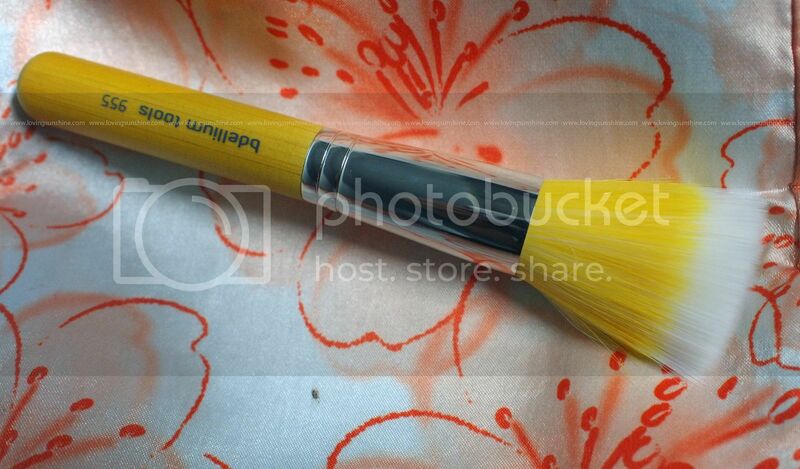 The Yellow Bambu brushes fit you perfectly. Thanks for supporting eco-friendly makeup brushes! thanks love :D you should try them out! How FUN are these make-up brushes...so vibrant and lovely! Thank you for introducing them to me! agree with you!! exceptional performance from these brushes too! have you tried it? These brushes are really pretty. I like the bright yellow shade! Thanks for the visit Bonnie! glad you liked the dose of sunshine! Wow, the yellow is something I have never seen before. What a fun color! wow they look all so cute!!! Thank you for visiting me, you'll be always welcome! haha oh you should know about Charm brushes. theirs is pink! Oh I'm following her blog but not her YT. These brushes are amazing! Wow, what a post! My head is spinning yellow. Where do you get these brushes from? I'd take that as a good thing! :D Twirling yellow!